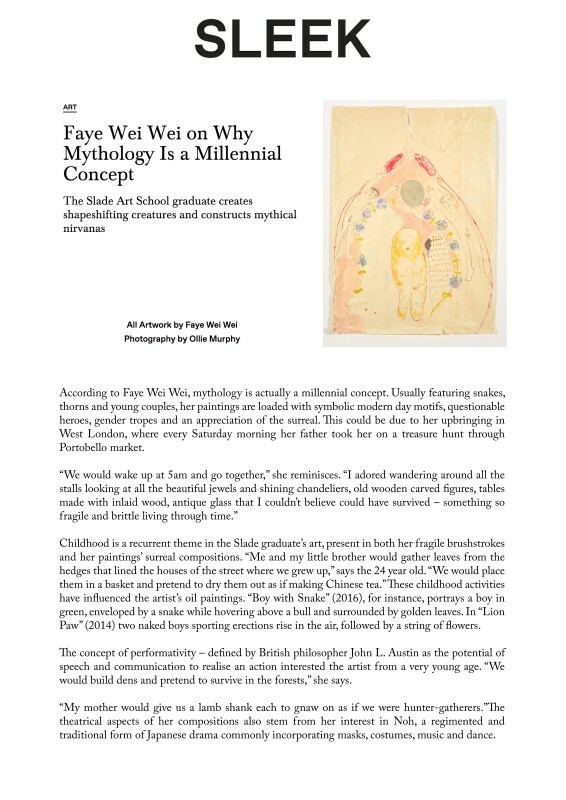 According to Faye Wei Wei, mythology is actually a millennial concept. Usually featuring snakes, thorns and young couples, her paintings are loaded with symbolic modern day motifs, questionable heroes, gender tropes and an appreciation of the surreal. This could be due to her upbringing in West London, where every Saturday morning her father took her on a treasure hunt through Portobello market.